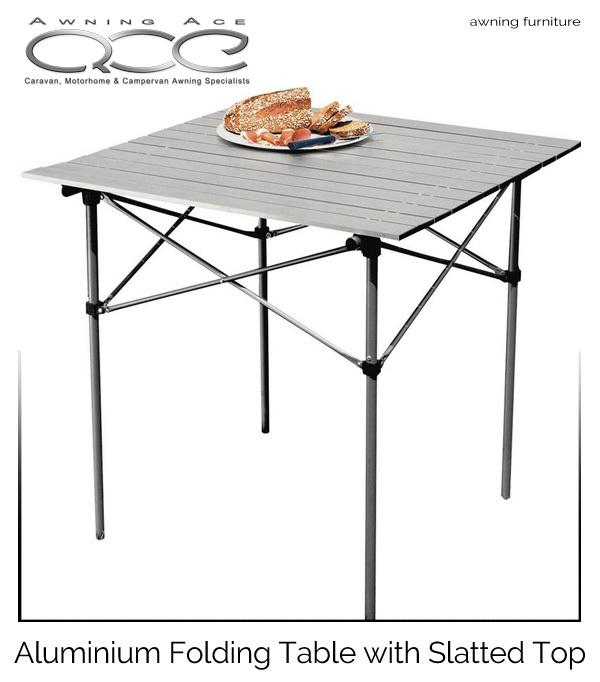 Easy to transport, lightweight and folds away into its own carry bag, this camping table would be ideal for outdoor events such as BBQ's, kids' parties, camping and picnics. Lightweight, square aluminium slatted table with a collapsible frame. Slatted tables pack much smaller than solid top tables so this is ideal for campervans or small car camping where space is at a premium. Cross-braced frame to give a sturdy and stable worktop. 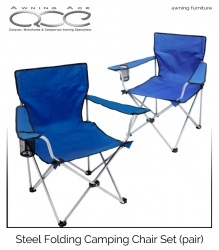 The aluminium materials are easy to clean and mean the table can be left outside when camping. It also means exceptional lightweight making it easy to carry as a picnic table on days out. 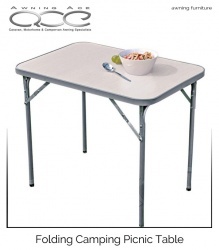 All-in-all a very versatile compact camping table.